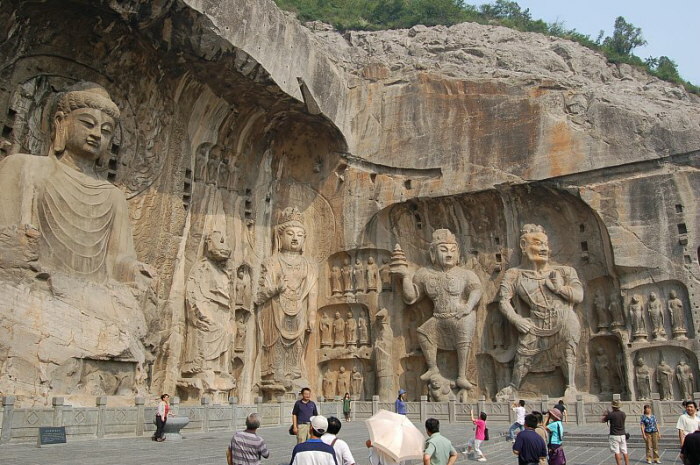 Longmen Grottoes, China. Tang Dynasty. Tamonten holds a pagoda in right hand.